The Altura Phantom long sleeve cycling jersey has been designed and engineered to be both comfortable and functional during your ride. 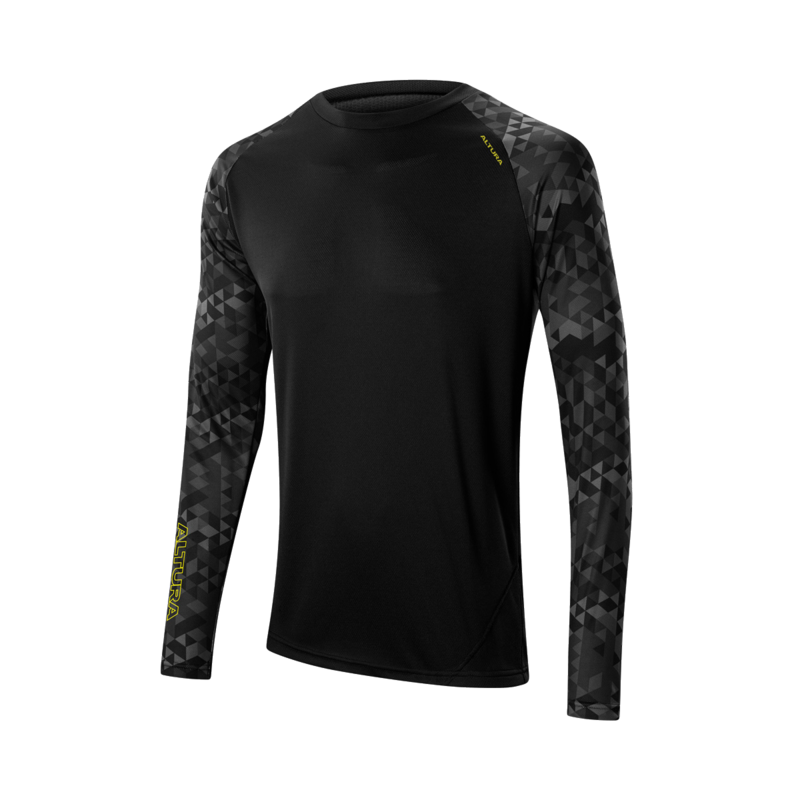 This popular cycling jersey, now available with long sleeves making it suitable for chillier riding conditions, is made from Altura Dry™ fabric which cleverly moves excess moisture away from the surface of your skin to keep you dry and comfortable. With a slightly relaxed fit this jersey is ideal for mountain biking or commuting on your bike and features a breathable mesh back panel to help prevent overheating when worn with a backpack. Pleasant material, size fits according to the chart , pleasant meshing in the back. No pockets, which is also great if you want to wear it as an under layer.